Advice From A Risk Detective: Spring break. In Boston last week, it snowed nine inches overnight. It was enough to remind me of having lived seven years in the snows of upstate New York. 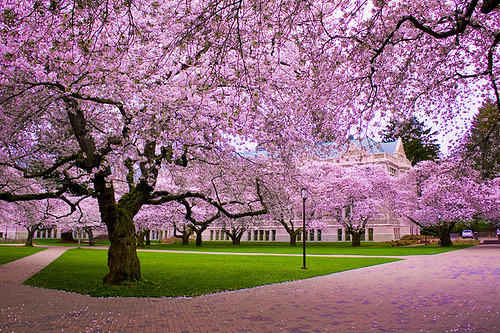 Here in Seattle, we are backing into spring and one of the most glorious sights in the region -- the blooming of cherry trees on the University of Washington quadrangle portion of the campus (photo below). I finished reading papers and turned in my last set of course grades on Saturday. So I am viewing this week as my own spring break, free of office hours, course preparation and teaching itself until it starts up again next week. I will be teaching the more advanced of two operational risk courses that I've designed for the University of Washington's Information School. Over ten weeks, we'll look at how risk is managed and/or overseen by both the government and the private sector. 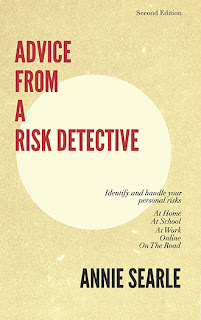 While on spring break, I'm trying to complete additions and revisions to what will be a second edition of Advice From A Risk Detective, targeting publication for this spring. At the same time, we are starting to gather 20-25 research notes published since January of 2012 for a second volume. The work of putting that edition together will happen this summer. I will write an introduction to the volume and headnotes for each of the research notes. Since I'm teaching just one course in the next quarter, I'll have more time for public speaking, writing articles and consulting with clients. As I was reminded yesterday by a colleague, I have designed myself sufficient variables or elements that I am constantly on the move...including time spent with the cherry trees this next week or so as I prepare for the next quarter.